During my journey with breast cancer treatment I found a very powerful symbol of healing in the Labyrinth. The labyrinth is an ancient symbol that has managed to stay present into the 21st Century. If we can tap into the labyrinth’s significance we can use it on a regular basis as part of our healing. This blog is about finding solace as well as empowerment by taking a walk, a walk to the center and back. Breast cancer is a journey. It is not a journey that we have chosen, but a journey that is here and it is important to find ways to cope with it, manage it, and come out the other side of it thriving as humans. Transformation is the process of evolving from what is to something different. It often appears to happen all of a sudden, but in reality transformation is an extended process over time. Words that come to mind when I think of transformation are words like evolution and metamorphous. Psychotherapy is a conduit for change. Spirituality is a path of change. They both have elements of relationship and together they are a lifestyle of daily transformation for self and for other. As a person who has experienced breast cancer our life lessons parallel that of a Hero/Heroine’s journey. The Hero’s journey is that which requires that we master the unknown, overcome dangers, and defeat obstacles as we move toward the healing challis, the prized object of our journey. A Labyrinth walk mimics that of the Hero’s journey. The Hero or Heroine enters the journey to find the precious “challis.” Once the precious challis is obtained the question becomes “Now what?” The hero or heroine must make it back out to the world with the challis to bring the power of healing to others. As people coping with breast cancer in all of its many phases of pre and post treatment, where mortality has broken the illusion of immortality the simple but influential process of putting one foot in front of the other is an amazing feat. As a people who have experienced breast cancer, life as we know it has come to an end and now the process or recreating a new one is an ongoing journey. Walk in for your inner world of peace walk out for peace for every person experiencing a potentially terminal illness, and especially kindred spirits with breast cancer. If you cannot find a labyrinth near you to walk, take this virtual walk at The Labyrinth Society. I hope you have found this an interesting start to your emotional and spiritual health as a hero/heroine on your journey. By: Dr. Dilley Adapted By Breast Cancer Yoga Staff. During my journey with breast cancer treatment I found a very powerful symbol of healing in the Labyrinth. 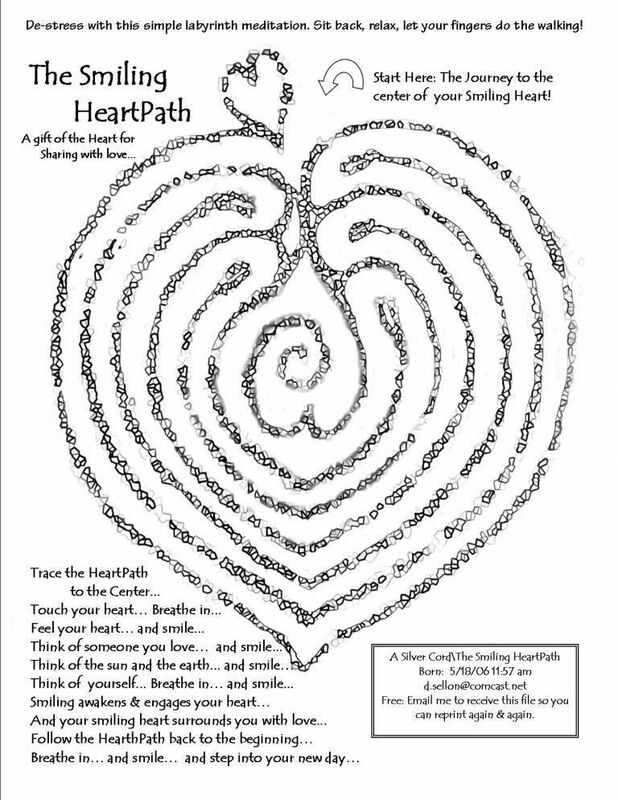 If we can tap into the labyrinth’s significance we can use it on a regular basis as part of our healing. As people coping with breast cancer in all of its many phases of pre and post treatment, where mortality has broken the illusion of immortality the simple but influential process of putting one foot in front of the other is an amazing feat. So if you’ve got a patch of grass, you too can have a labyrinth. They’re stylish and a breast cancer healing garden should have one. Each year autumn open spaces provide for laying out temporary labyrinths. We invite gardeners to build temporary labyrinths for therapeutic healing. Crystals and quartz as an extraordinary substance that holds vibration, light and amplifies, harmonise focused healing energy. The crystal emanating goodwill to all beings, – programmed for forgiveness, unconditional love and to awaken consciousness. Transformation is the process of evolving from what is to something different. It often appears to happen all of a sudden. Psychotherapy is a conduit for change. Spirituality is a path of change. They all have elements of relationship and together they are a lifestyle of daily transformation for self and for other.If we can tap into the labyrinth’s significance we can use it on a regular basis as part of our healing. As people coping with breast cancer in all of its many phases of pre and post treatment, where mortality has broken the illusion of immortality the simple but influential process of putting one foot in front of the other is an amazing feat. As a people who have experienced breast cancer, life as we know it has come to an end and now the process or recreating a new one is an ongoing journey. yours. Walk in for your inner world of peace walk out for peace for every person experiencing a potentially terminal illness, and especially kindred spirits with breast cancer. If you cannot find a labyrinth near you to walk on May 4th, take this virtual walk at The Labyrinth Society. I look forward to being a guest expert on this new and exciting blog and hope you have found this an interesting start to your emotional and spiritual health as a hero/heroine on your journey.